Six little words, squeaked out so matter-of-factly in a sweet, sing-song voice by the toddler across the hall at daycare. A little girl I’d never met or been introduced to. I don’t even know her name. But she watches through the window every morning at drop-off and each afternoon at pick-up. She knows my daughter (because Calista loved to wave at the toddlers from behind her gate in the infant room) and she has deduced that I am her mom. I’ve been a mom for almost a year and a half now, more than two years if you roll in the nine months I spent pregnant. I’m certainly no veteran, though I wouldn’t classify myself as a rookie either. There’s something about surviving the first year that helps you earn some street cred as a mom. But it wasn’t until this 3-year-old made her statement that I realized the significance that being a mom had on how I identify myself. I am no longer just Mark’s daughter, Lance’s sister, Katie’s friend or Carl’s wife. I’m still a physician assistant, and a runner, and a Christian and everything I was before. I am now also Calista’s mom. Is it just me, or do you cringe when someone says, ‘So tell me a little about yourself.”? I feel like I never have anything interesting to offer. You usually go into the same spiel – where you’re from, where you live now, what you do for a living and then wrap up with the stats on your family, always accompanied by the most recent photo on your iPhone. Before I joined the mom club I felt like my answer to this request was somehow lacking. I’d get through where I live, what I do and how long I’ve been married and then end awkwardly with ‘Oh, and I have a dog’. But nobody ever really cared about all that. And then you become a parent and feel like you have absolutely no idea who you are anymore. Don’t worry, that passes. 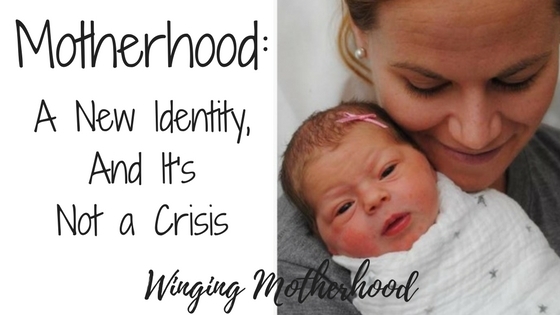 Now I get through my checklist and when I mention that I have a daughter it’s like a green light for an onslaught of questions, unsolicited advice and shared parenting stories. Even if the person asking isn’t a parent, they know a parent, so you have some common ground. They usually have a niece or nephew, a neighbor or a friend they can compare to your tiny human. If they don’t have their own teething nightmare or diaper disaster stories, they’ve heard one or two. Being a mom opens up the door for an endless supply of conversation topics. But it’s not necessarily a crisis. 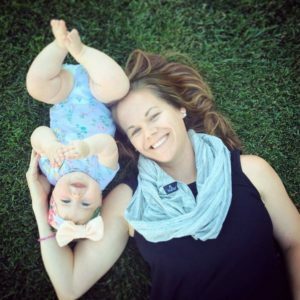 Becoming a mom doesn’t mean you have to completely let go of who you once were. You’ll still need ladies night. And date night. And me time. But during that period where you’re still trying to figure it all out, it helps if you don’t make it your mission to get back to the person you were before. You’ll just be wasting your time. That person is gone. Long gone. Kiss her goodbye and instead embrace your new identity. And while it may be new and feel unfamiliar, it doesn’t mean it’s a crisis. 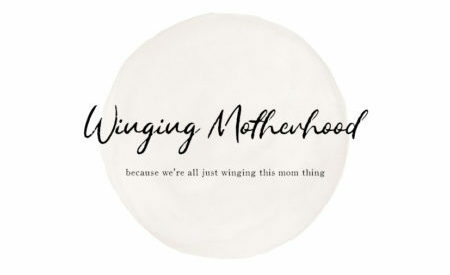 While there are plenty of mom-shamers out there – nasty know-it-alls who live behind their computer screens waiting for an opportunity to tell you those puffs you’re feeding your baby aren’t organic – there is also an amazing village of women waiting to embrace you with open arms into their club. They’ll help you navigate these unfamiliar waters, this uncharted territory, because they’ve been there, too. This new identity isn’t dictated solely by the tiny new person who enters your world, but by all the people who help you along the way. The real beauty of it? Unlike your family, you get to choose your mom village. Most of it anyway. Because you’re going to need a village if you want to survive.